Summer gives us time to look back and reflect on the hockey season. It gives us time to remember years gone by. It's time to go back and remember some of the most memorable moments in team history. 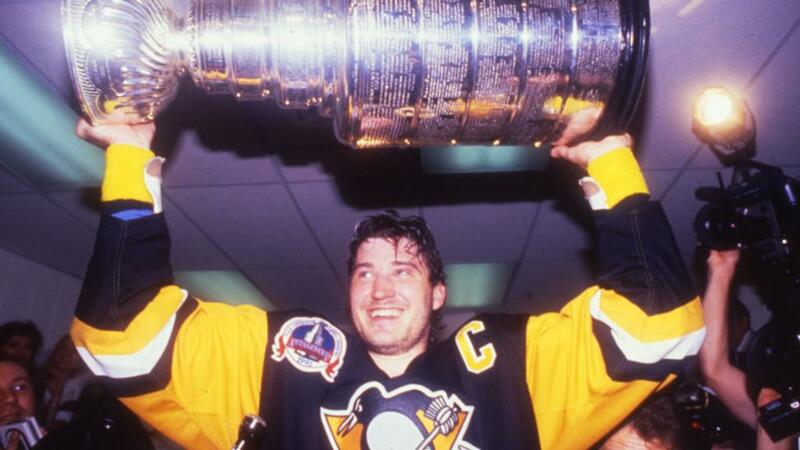 This week it's back to 1991 as the Penguins beat the Minnesota North Stars to capture their first Stanley Cup. Mario had been in Pittsburgh since 1984 and while regular season success hadn't been an issue, amassing MVPs and scoring titles, the post season was different. It was a beast he could not conquer as the team around him just couldn't keep up with Super Mario. That all changed in 1991 as a series of moves by Craig Patrick added the pop needed to elevate the Penguins to the next level. The additions of Larry Murphy from Minnesota (whoops) as well as Ron Francis and Ulf Samuelsson from Hartford deepened the Penguins in a way the franchise had never seen. Once in the playoffs the 16 wins they needed would come as they battled through New Jersey (with the help of The Save), Washington, Boston and eventually the North Stars. Finally in Game 6 the unthinkable happened: Lord Stanley came to Pittsburgh. The top of the mountain was finally there for Mario. Little did he know the next peak was right around the corner.